It's time for a new style of music and The Doped Up Dollies call it - Stroll: hopscotch, double dutch, northern soul, SKA, Reggae. 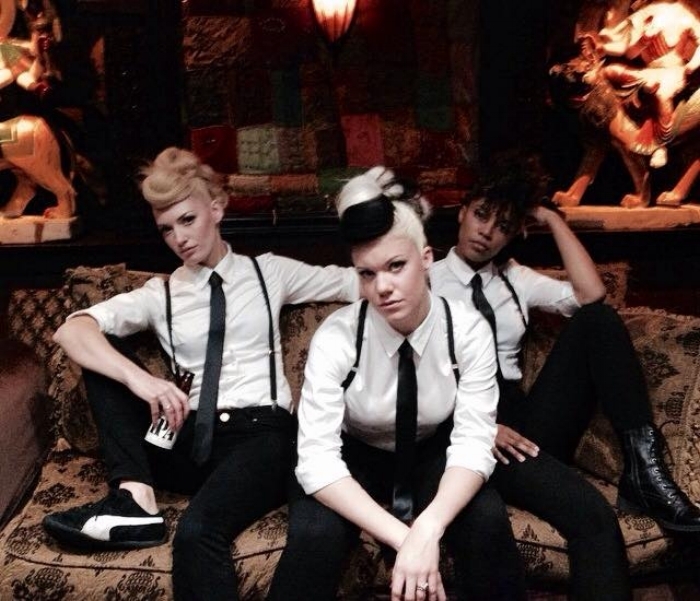 The Doped Up Dollies are a 12 piece Boston band fronted by three female singers Sirae Richardson (The Unstoppable), Erin Mackenzie (‘Rin) & Brianne McWane (Sweet Brie). For seven years these ladies sang back-up vocals for the know SKA-Punk band Big D and the Kids Table, but now Big D is backing them up on their debut LP - The New Way Out. Recorded in a small cottage in the woods of New England without any material prepared, each one of The Doped up Dollies’ tracks is filled with messages of strength and perseverance, positive out looks and defiance against a stalled world. Make Your Own Sunshine, Papa Plays The Drums, Me Fireman and Lion all captivate the uppity beat of Stroll music and are sure to perk up the ears of starving music lover. While How Could I Go, Arrested, Driving Around The Square teleport listeners into these ladies private lives. Sirae, Erin & Brie all bring a different elements to the vocals of the DupD, while at the same time they share the same heart and you can hear that heart not only in their harmonies, but in their over all essence together. A tight crew, these four woman aren't wealthy, fortunate upperclassman; Their parents aren't rich or connected. No, these three woman are hard working Bostonians, all working two jobs or more. They're honest, tough, talented and real. Other major acts like Gin Wigmore, Goldfinger & The Might Mighty Bosstones have invited the ladies to perform with them, because they, like everyone who catches their first listen, want these three’s swagger and influential voices backing up their own sound. After seven years of being in the back, it's The Doped Up Dollies time now to take center stage, so back on up, because The DupD are coming through. 2019 catch the The Doped up Dollies touring New Way Out, your Stroll solution of escaping today’s same-old, same-old sound.